God lives in you. Happy Birthday. will come to you during this next year of life. and believe in God's promises every day. having fun with your family and friends. all your thoughts and feelings. May you have a long life in health. 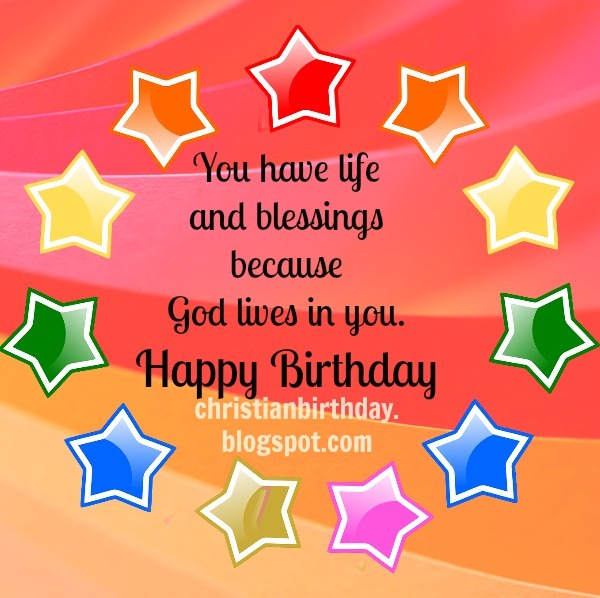 Free christian birthday cards by Mery Bracho, free quotes on bday, christian image, nice words to man or woman.